The aim of the drill was to practice how to sink an American carrier, at least two of which patrol the Gulf at any given time. Exercise “Great Prophet Nine” showed how the naval wing of the Revolutionary Guard would launch a “swarm” attack, seeking to overwhelm the carrier’s defences by dispatching numerous speedboats to converge on the vessel from all directions. “American aircraft carriers are very big ammunition depots housing a lot of missiles, rockets, torpedoes and everything else,” said Admiral Ali Fadavi, the naval commander of the Revolutionary Guard. He told state television that hitting a carrier with just one missile could trigger a “large secondary explosion”. 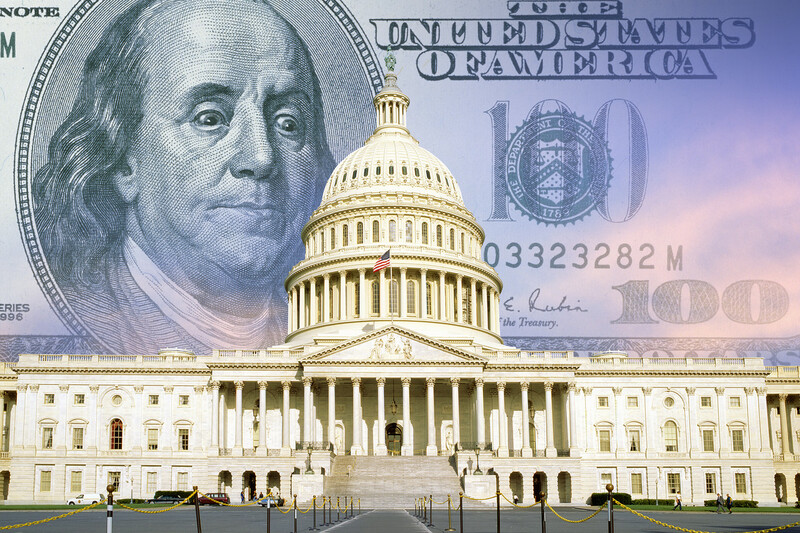 Treasury rolls out a new savings plan without a Congressional vote. Hey, kids. Uncle Sam has a new investment offer for you. Even if you have several decades of productive work ahead—and thus a long investing time horizon—the White House wants you to consider a retirement plan that will invest in nothing but U.S. government debt. Any financial professional who advised a young investor to avoid stocks and corporate bonds—and everything else except Treasury bonds—would be sued for malpractice. But asset allocation is merely one of the problems with the new “myRA” fund rolling out from the Treasury this month. A form of Roth Individual Retirement Account that allows people to save after-tax dollars and watch them grow tax-free until retirement, the new myRA offers a single investment option. It’s a private version of the G Fund that is available to federal workers and has lately been delivering annual returns of about 2% on its portfolio of Treasury securities. Intended for those who haven’t started saving for retirement, don’t have a retirement plan at work, and make less than $129,000 per year ($191,000 for married couples filing jointly), the myRA requires no minimum investment to open an account and promises no fees for investors. Readers will recall President Obama ’s announcement of this program in January’s State of the Union address. Mr. Obama said that he would direct the Treasury to create this new retirement plan, which was puzzling because such plans are normally created by law, not Presidential order. Congressional staff were as puzzled as anyone and wondered how the White House would justify the creation of this new savings vehicle. Or perhaps Team Obama would seek new authority from Congress? Well, Treasury is now offering these accounts and has hired Texas-based Comerica to manage them with a partner, Fidelity National Information Services . But the executive branch received no new authority from Congress this year to launch the program. Treasury is funding the program out of the budget for its Bureau of the Fiscal Service. The assertion here is that existing law allows this part of the Treasury to hire financial agents as part of its mission to efficiently finance the federal government. But that’s a reach, because far from delivering efficiencies for the taxpayer, this program is designed to subsidize the investors. Not that a low-yielding Treasury securities fund is the right move for these first-time investors. But this is a deal they cannot find in the marketplace because it would be unprofitable for any company to offer it, given that the investor pays no fees and can contribute as little as he wishes in regular payroll deductions. Taxpayers are covering the costs, though their elected representatives in Congress never voted to create the program. So far Treasury also hasn’t told us the fees it is paying Comerica. “You’ve just released five extremely dangerous people, who in my opinion … will rejoin the battlefield,” Sen. Marco Rubio, R-Fla., told Fox News. New details are also emerging about Bergdahl’s conditions in captivity, offering a complicated portrait of his five years with his Haqqani captors. According to secret documents prepared on the basis of a purported eyewitness account and obtained by Fox News, Bergdahl at one point during his captivity converted to Islam, fraternized openly with his captors and declared himself a “mujahid,” or warrior for Islam. Yet the documents also show that Bergdahl at one point escaped his captors for five days and was kept, upon his re-capture, in a metal cage, like an animal. In addition, the reports detail discussions of prisoner swaps and other attempts at a negotiated resolution to the case that appear to have commenced as early as the fall of 2009. The dispatches were generated by the Eclipse Group, a private firm of former intelligence officers and operatives that has subcontracted with the Defense Department and prominent corporations to deliver granular intelligence on terrorist activities and other security-related topics. Amid concerns that the Bergdahl trade has created huge security risks, President Obama said earlier this week that the U.S. would be “keeping eyes” on the Taliban members while they spend the next year in Qatar. At the same time, he acknowledged there’s “absolutely” a risk that the former Guantanamo inmates will try to return to the battlefield. Some of them reportedly already have made that vow. NBC reported Friday that Noorullah Noori, one of the freed prisoners, pledged to return and fight Americans in Afghanistan, according to a Taliban commander. Fox News’ Jim Angle, James Rosen and Catherine Herridge contributed to this report. The official watchdog for the Department of Veterans Affairs claimed in a scathing report that the department has a “systemic” problem with clinics lying about patient wait times, as lawmakers on both sides of the aisle joined calls for Secretary Eric Shinseki to resign. The VA Office of Inspector General released its interim report on Wednesday, as part of its ongoing probe into whether veterans died as a result of under-reported delays. While not reaching any conclusion on what led to those deaths, the office released troubling statistics regarding the embattled Phoenix VA facility suggesting workers under-stated wait-times in order to make their internal figures look good. The office, in its preliminary findings, determined that veterans in Phoenix waited an average of 115 days for a primary care appointment — far longer than the VA’s official statistics showed. Such inappropriate scheduling tactics, according to the report, may be the basis for claims of “secret” waiting lists. So far, President Obama has stood by his VA secretary, though the White House released a statement saying the president has been briefed on the findings and found them “extremely troubling.” Shinseki released a statement on Wednesday calling the latest findings “reprehensible,” but did not offer his resignation. The report released Wednesday focused on the Phoenix VA facility, while noting that reviews at a “growing number” of facilities have exposed inappropriate scheduling practices throughout the VA system. According to the office, the investigation has now expanded to 42 VA medical facilities nationwide. The IG’s office released figures showing the Phoenix office “significantly understated” the amount of time patients waited for appointments. According to the IG’s office, about 1,400 veterans awaiting a primary care appointment were appropriately included on the electronic wait-list — but an additional 1,700 veterans waiting for an appointment were left off that list. The omission, the report warned, raises the risk that these veterans will be “forgotten or lost” in the “convoluted” Phoenix system. The IG’s office also said VA national data had claimed patient wait times among a sample of Phoenix veterans typically was about 24 days. But the IG’s own review found the average wait was actually 115 days. The report would appear to substantiate allegations that clinics played around with the schedules to make it seem like patients were being seen sooner. The VA offices at Phoenix and several other locations have been accused of covering up the long waits by using improper scheduling tactics. About 40 veterans are said to have died while awaiting care in Phoenix. Foote took issue with the finding by the inspector general that patients had, on average, waited 115 days for their first medical appointment. Still, Foote said it is good that the VA finally appears to be addressing some long-standing problems. Miller also called for Attorney General Eric Holder to launch a criminal probe into the VA’s “scheduling corruption” in light of the report. “Today the inspector general confirmed beyond a shadow of a doubt what was becoming more obvious by the day: wait time schemes and data manipulation are systemic throughout VA and are putting veterans at risk in Phoenix and across the country,” he said in a statement. Also Wednesday, Miller’s House Committee on Veterans Affairs held a hearing to address what he called the VA’s “continued lack of compliance” with a subpoena the committee issued last month. Three VA officials testified at the hearing. The committee subpoenaed Veterans Affairs Secretary Eric Shinseki on May 8 for emails and documents tied to an alleged secret “waiting list” for sick veterans at a Phoenix VA hospital. Miller said he does not believe the documents that have been produced as a result of the subpoena are the result of a thorough investigation for relevant records. He said he knows the VA is withholding at least three documents from relevant communications because of attorney client privilege. One of the VA officials, Joan Mooney, deferred questions about any documents that may have not been turned over to the committee to the VA’s general counsel. However, Miller said he will not rest until they get a complete explanation. “We expect VA to be forthcoming but unfortunately it takes repeated requests and threats of compulsion to get VA to bring their people here,” he said. Following the hearing, Dr. Thomas Lynch, the VA’s Deputy Under Secretary for Health, claimed that there were no secret waiting lists. Lynch said that the canceled appointments were part of an attempt to improve the clinic’s efficiency.